Mix the dry ingredients together and then add the oil and water. Mix this all into a ball. Oil the sides of a large bowl and let the dough rise for 2-3 hours. 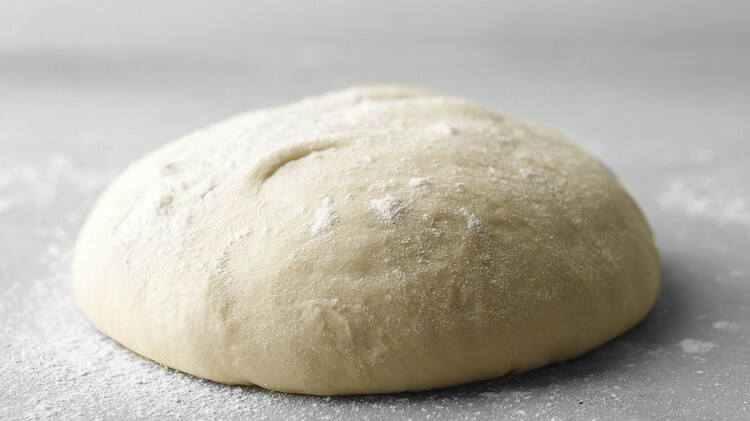 On a flour-dusted surface, roll out the crusts to the desired thickness and ‘dock’ with a fork. Par bake (partially bake) on a pizza stone or baking pan for 3 minutes. Makes 3 12” inch pizza crusts. Create pizzas the way you wish and bake for 20 minutes at 350°.